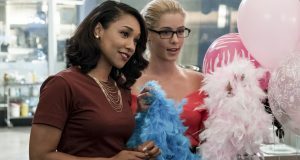 Home / FlashTVNews Awards / The 2016 FlashTVNews Awards: The Season 2 Results Are In! 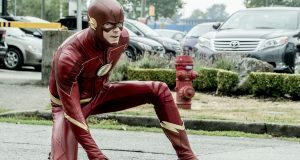 We’re telling you now: A lot of the winners from this year’s awards come from either “The Runaway Dinosaur” or “Welcome to Earth-2,” as those two episodes seemed to resonate the most among FlashTVNews readers this year. In this case, “The Runaway Dinosaur” with Barry’s dream-like existence inside the Speed Force where only Iris can pull him out came in first place with 40% of the vote. Not to be outdone, the Earth-2 jaunt “Welcome to Earth-2” came in second with 31%. Next: Happy Flash Premiere Day! Here’s A Clip With Kid Flash! I must be the only person who thinks “the Runaway Dinosaur” is completely overrated. Good episode, but overrated. It wasn’t his mother, so the emotion wasn’t earned. It felt like the writers were trying one too many times to cash in on a great moment and seemingly everyone in the audience not caring. You think you’re the only person who found that episode overrated, and yet somehow you also know that everyone in the audience didn’t care? You realize those two statements are contradictory? 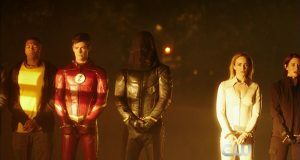 It was one of the best rated episodes, and real mother or not, it helped bring an unresolved emotion of Barry’s that was just neglected for so much of the series. Personally there are still many people who cry everytime they see that episode, so please don’t speak for everyone. Rob has a habit of doing that over at GreenArrowTV. It’s apparently a tradition now. No, the statement isn’t contradictory because what I wrote was that I found it overrated because the audience didn’t care that it wasn’t his mother, hence why they got caught up in the emotion of the episode. I didn’t say the audience didn’t care about the episode, the audience didn’t care that the writers are hitting that note too many times. Looking back, I can see where you would interpret my statement that way, but I think it’s pretty clear from context, that’s not what I meant. And what emotion wasn’t resolved? Guilt over his mother’s death. If that’s the case, I think given what happened in the finale, it’s safe to say he has yet to resolve it. I didn’t speak for everyone. I just spoke for myself. Awesome! This was fun. Loved Zack’s episode and all the Earth-2 ones especially Episode 13. 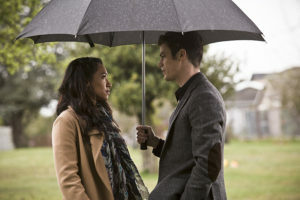 I love Candice Patton and Grant Gustin they are amazing leads for the show! Still not sure what anyone’s issue is with Patty. She was delightful. I do think it’s simply an issue of her not being Iris. This is nothing new, though. Audiences tend to hate romantic impediments. They were none too kind to Lauren Tom back in the 90s when she was on Friends simply for being the other woman. And there seemed to be a 180 on Iris from season 1 to season 2 at least in terms of online perception. Overall it was a good season, but not as fantastic as season 1 in large part because Zoom was far less interesting as a villain.